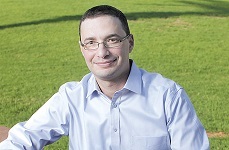 I am an assistant professor at Tel-Aviv University where I founded and currently head the Business Analytics Program at Tel-Aviv University’s School of Management. My research interests include using large-scale data for business decision making, and developing Data Science methods for solving business problems. Before joining Tel-Aviv University I was a visiting scholar at NYU Stern School of Business and a research scientist at Google. Prior to my Ph.D. studies, I held various engineering and management positions in the high-tech industry.